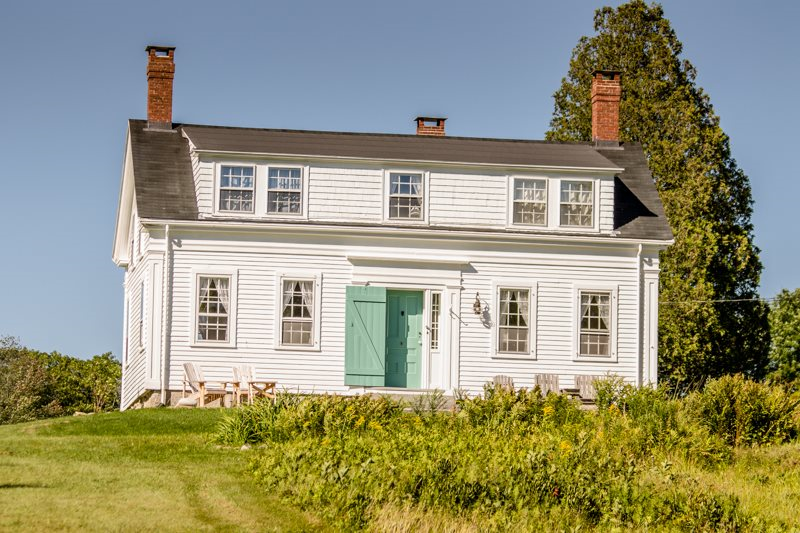 Classic 1840`s hillside Maine farmhouse on quiet Westport Island; Among the blueberry barrens overlooking the Sasanoa River. 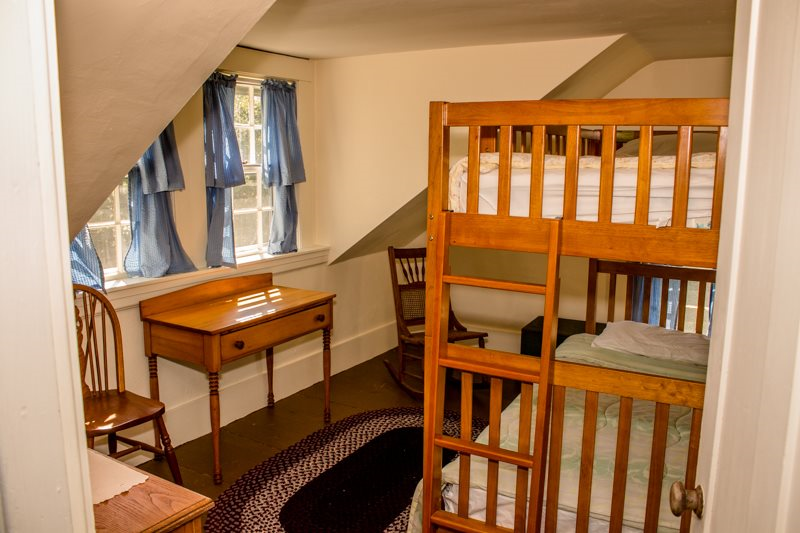 Bed Arrangements: King Bed (can be broken down into two XL single beds), King Bed (can be broken down into two single beds), Set of bunk beds (two single beds). 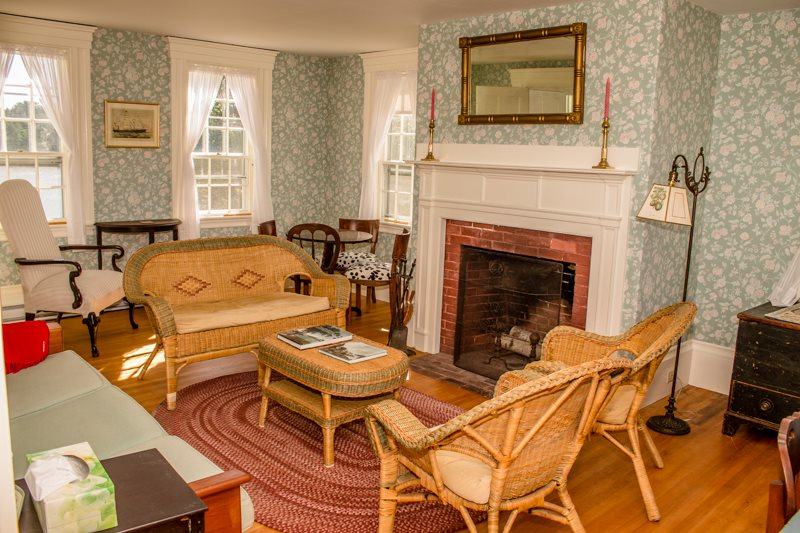 THE HOUSE: Classic Maine farmhouse built by seafarers in 1848. Newly renovated in 2014. 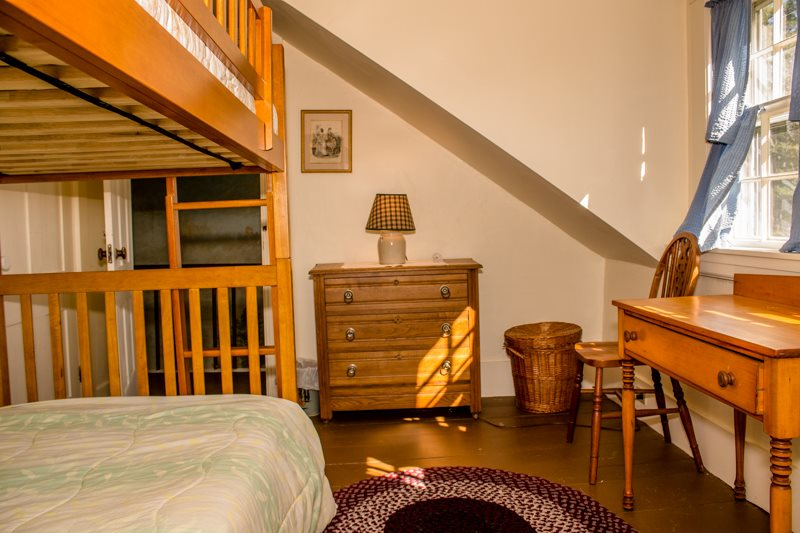 Located on the rugged coast surrounded by blueberry barrens, farmers’ fields, woods, and the sea. 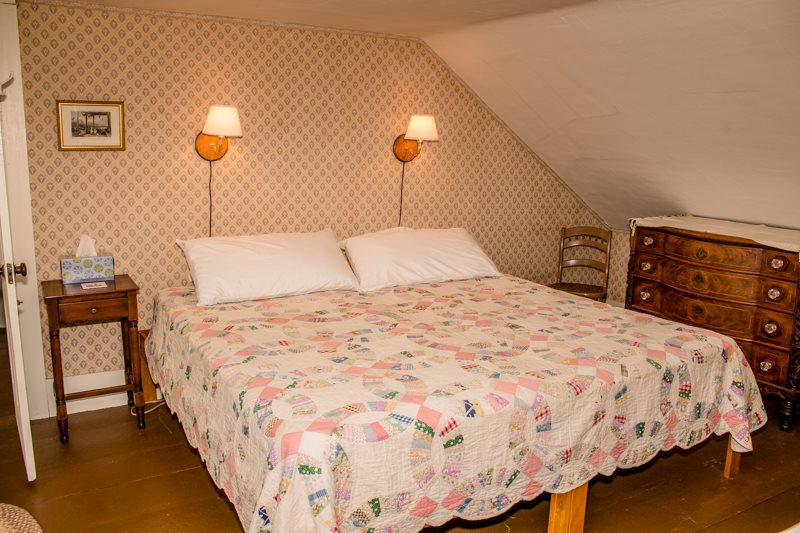 Offers modern amenities, antique furnishings, and roomy and comfortable living spaces. 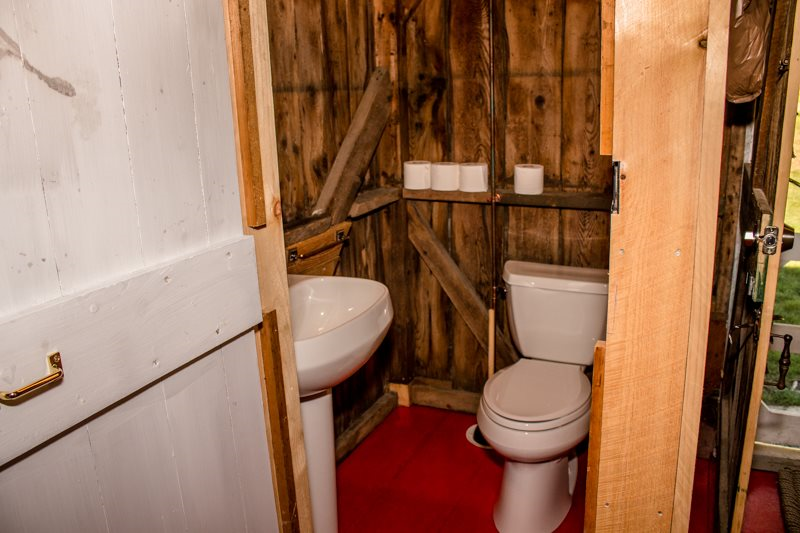 Three bedrooms, two and 1/2 baths AND one outdoor shower. 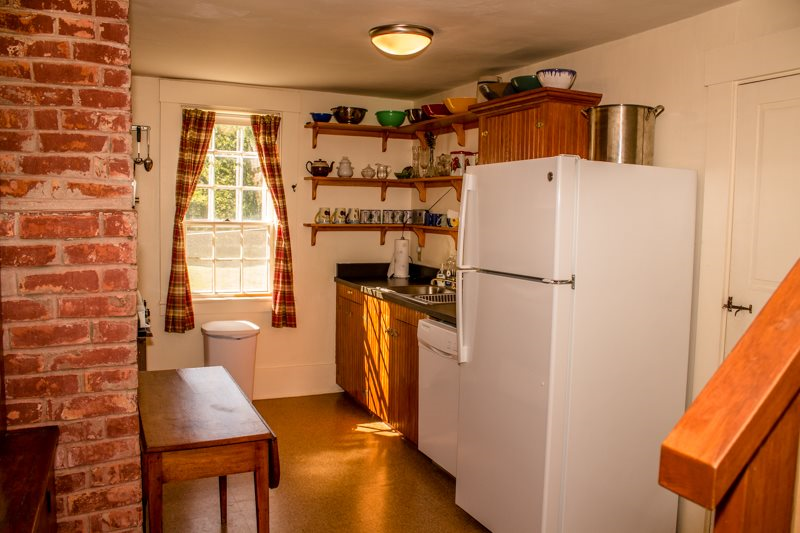 Charming galley kitchen with old-fashioned dining table. 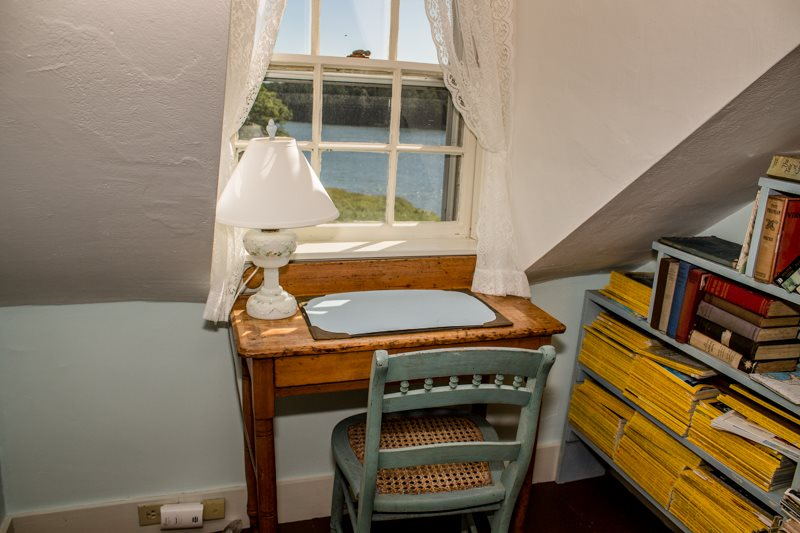 Two front parlors from which to enjoy the water views. 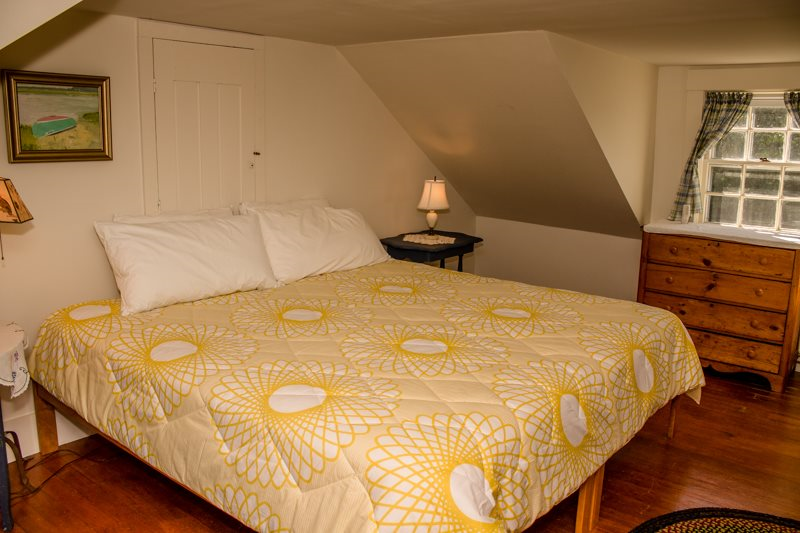 A cheery bedroom and bath are located above the kitchen while the other two bedrooms and bath are located on the second floor of the house and have views of the water. 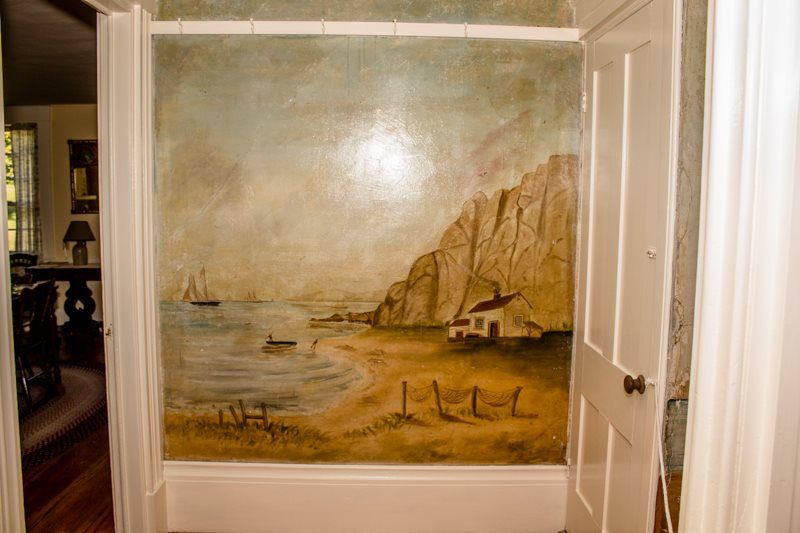 A wonderful mural depicting life in the 1800’s stretches from the front door, down the main hallway and up the stairwell. 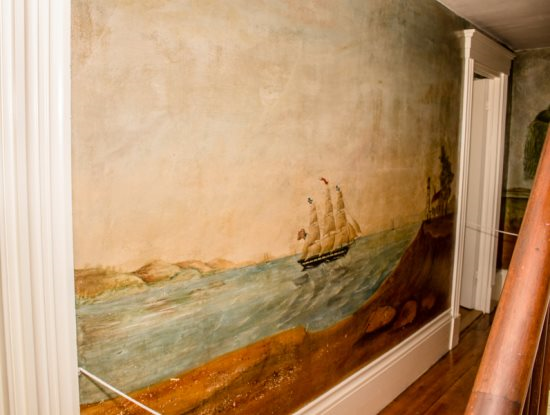 The home-owners are in the process of lovingly restoring the mural and the home includes a history of the artwork. 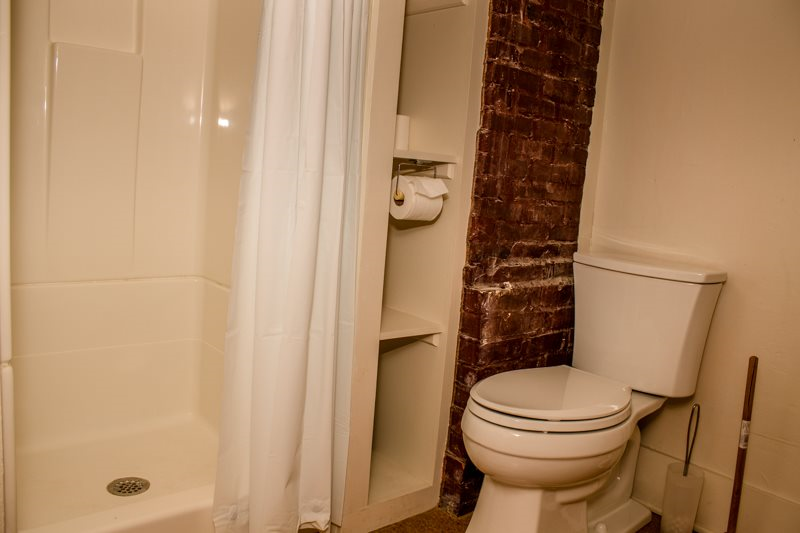 LINENS & TOWELS INCLUDED? 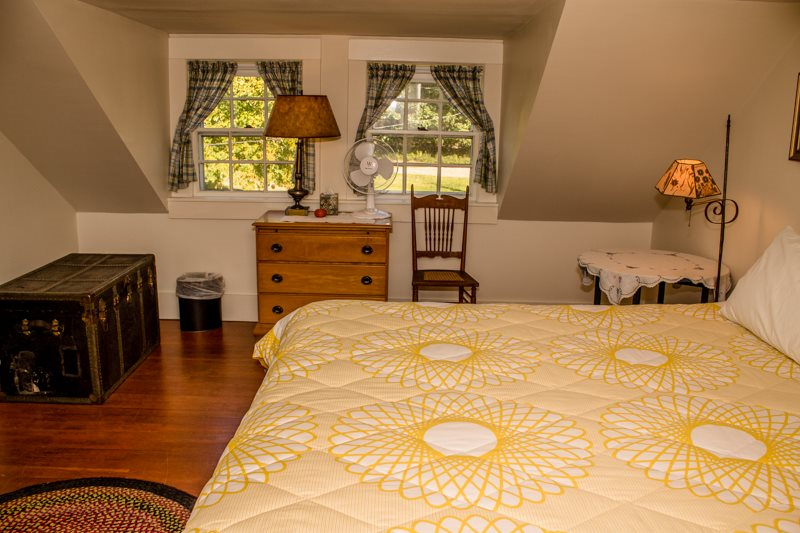 No, Linens & Towels are NOT provided for your stay; ask your reservation agent about ordering linens through us, or you may bring your own from home. PETS PERMITTED? Yes, DOGS are allowed. No cats please due to owner allergies. Guests can experience convenient access to Mid-coast attractions and dining only 20 minutes away. 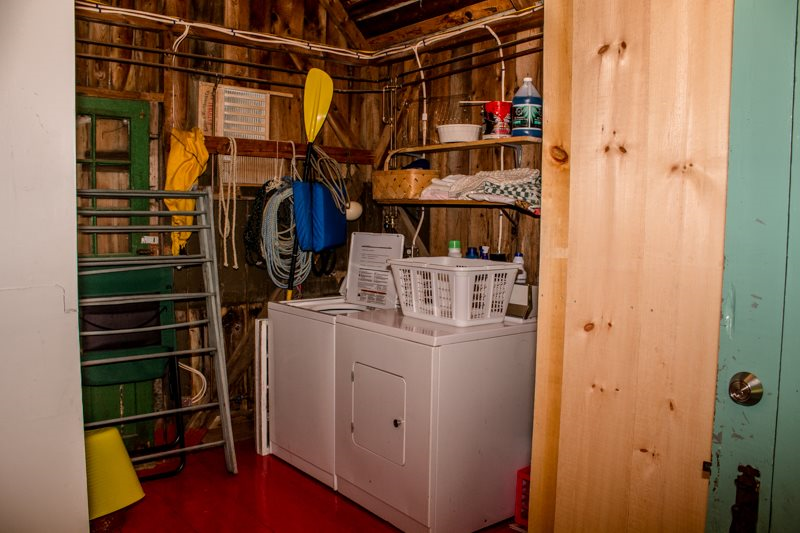 Hiking, kayaking, bird watching, blueberry picking and swimming (for the brave) are just outside your front door. 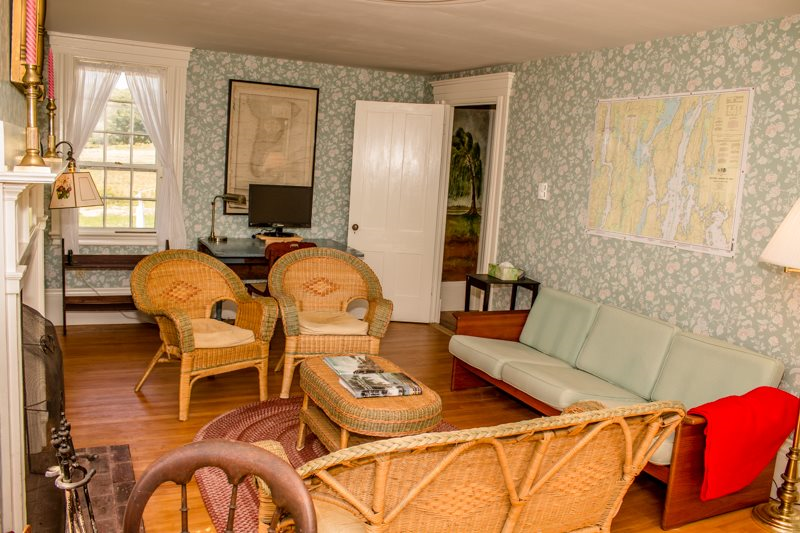 The property includes 600 feet of shoreline along the Sasanoa River, a tidal, salt-water river full of aquatic sea-life. The Sasanoa River is great for fishing, bird watching, kayaking, canoeing, sailing and more. 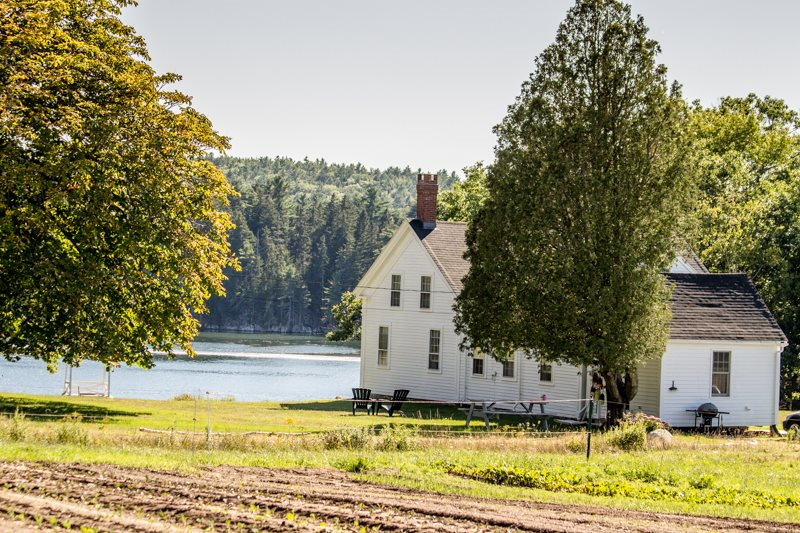 Visit neighboring Tarbox Farm to pick up your CSA (included) on Fridays at the 1770’s barn. Buy your lobsters straight off the boat a few miles up the island. 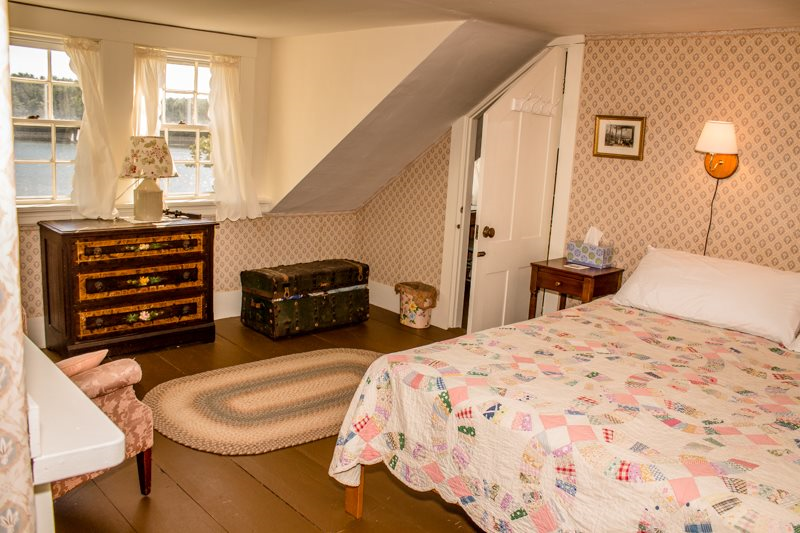 Tarbox Cottage is a nostalgic, family-friendly escape to a simpler, bygone era. 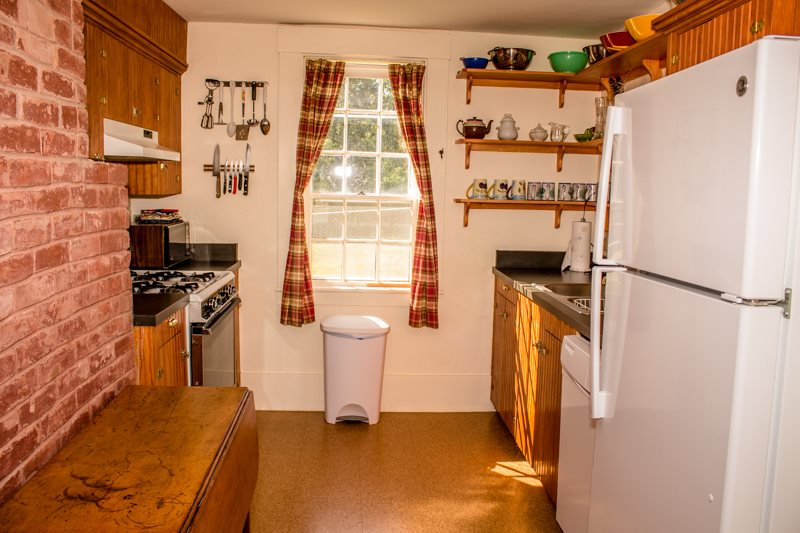 The cottage sits amid two and a half acres of blueberry bushes and lawn, 2 miles off the main road. Follow the path down to the waterfront to swim or kayak from the original stone piers. The “spreading chestnut” tree in the side yard invites you to sit under its shade and enjoy a visit with family and friends or just read a book. 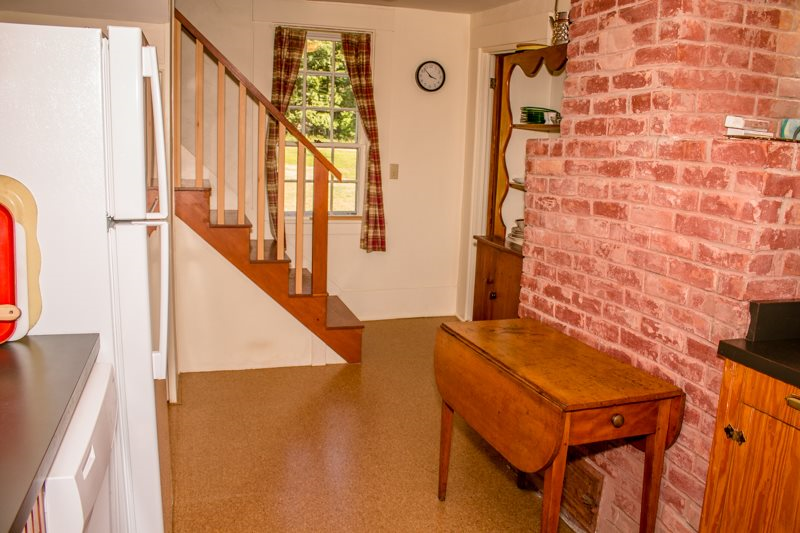 Maybe sit on the stoop and shell some peas or shuck some corn that you got from the neighboring Tarbox Farm. This is a wonderful house and perfect location to “unplug” from the everyday world. Located at the end of a country lane, where the only sounds are the cries of birds and the muffled engines of lobster boats making the rounds of their traps offshore. A family of seals sometimes hauls up on the rocks of Willis Point a few hundred feet away. For a feeling of complete calm and solitude, start your day sitting on the Adirondack chairs on the front terrace sipping your coffee while watching the ripples spread on the bay (as the fog burns off, you will often spot eagles and ospreys) – and end it sipping a glass of wine and watching the sunset turn the water pink and orange. 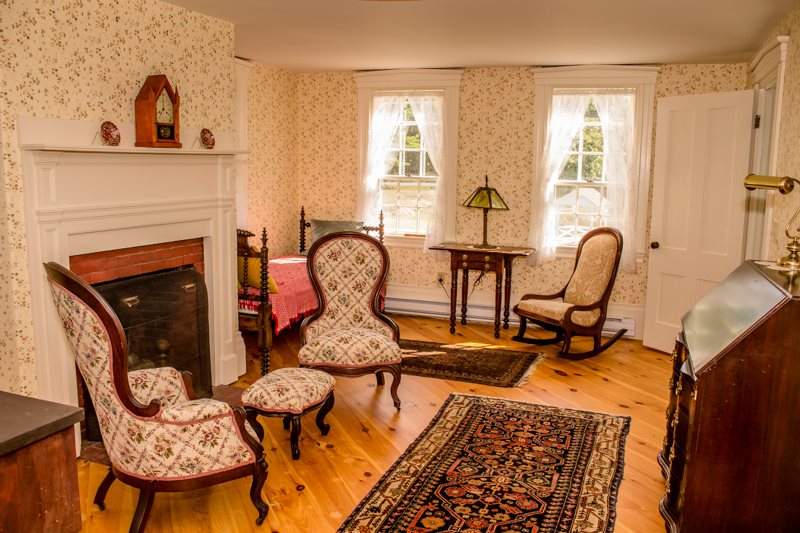 If you want action, the attractions of Wiscasset (1/2 hour) Damariscotta (40 minutes away), or Bath (1/2 hour) are of world-class interest. There is always the lively waterfront at Boothbay Harbor or the L.L. Bean outlet in Freeport less than an hour away. 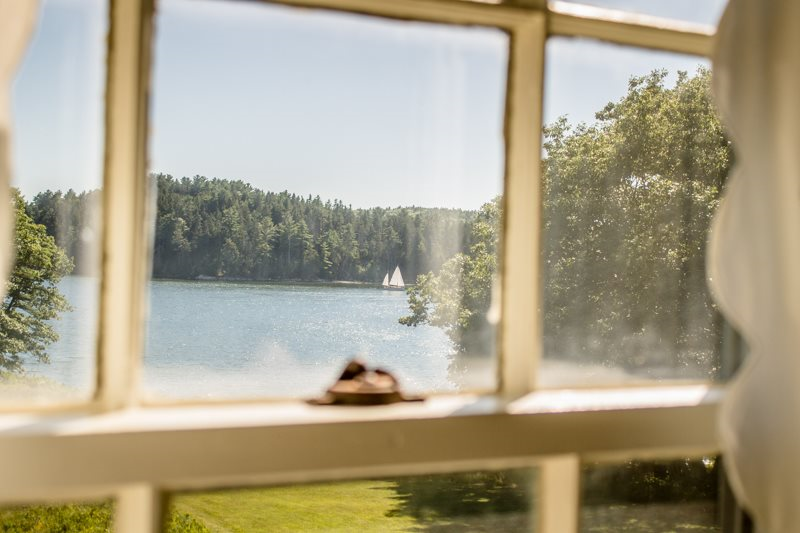 For every taste or age group there’s more than plenty to do, from the fish ladder to the Indian shell midden, to the antiques shops, house museums, or the Maine Maritime Museum; excursions of all kinds are available nearby, off- and on-shore ones, from cruises to group paddles. 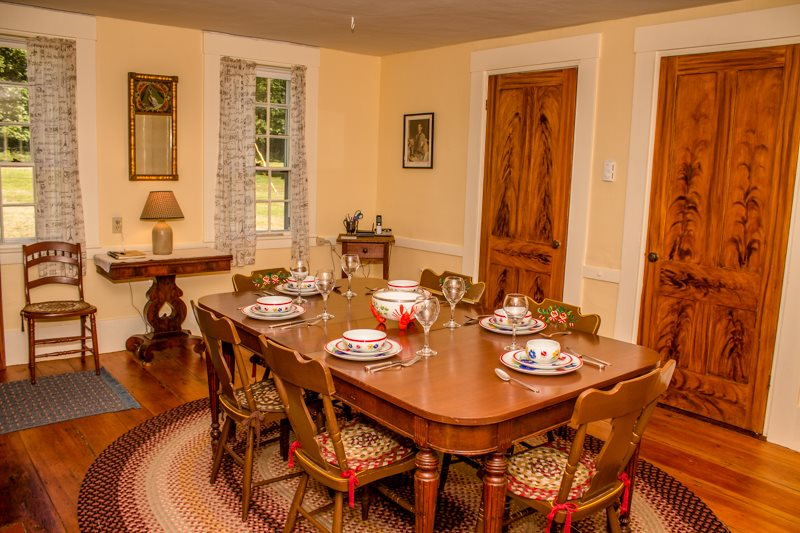 As far as dining goes, a list and descriptions of some local restaurants are available at the house; you certainly won’t be disappointed here! There are miles of scenic walking paths and trails on and around the property. 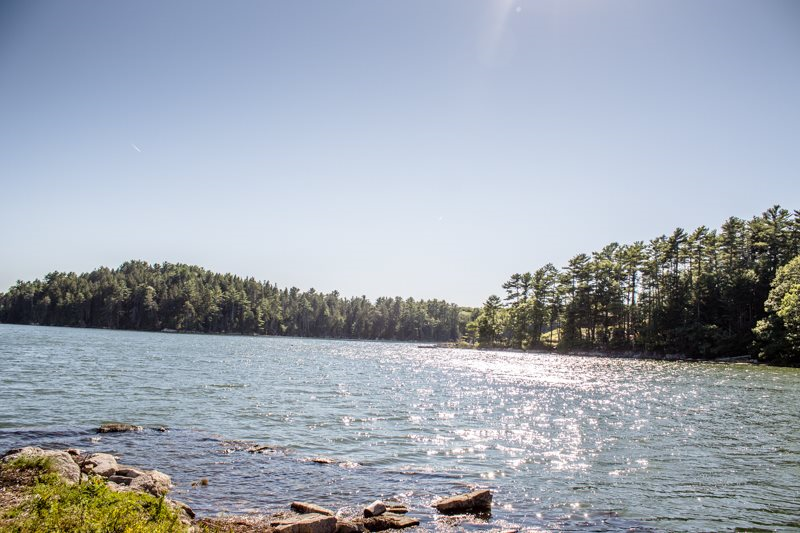 Walk over to the Bonyun Preserve; a member of the Kennebec Estuary Land Trust with a tidal inlet, Mixed old-growth woods, fresh water marshes, estuary, riparian and pocket woodlands. 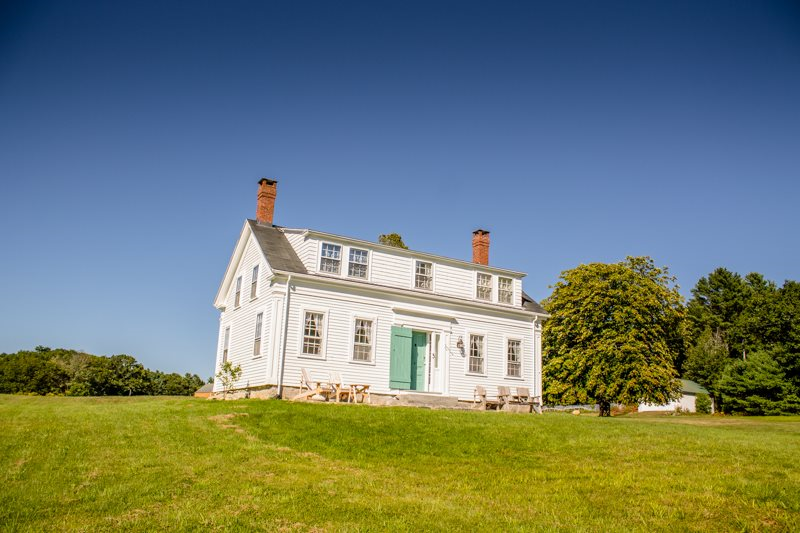 Another path will take you to the neighbor’s Tarbox Farm; an organic farm dating back to 1770 that is still active today. During the season, feel free to explore the blueberry bushes and brambles, eating as you go or bring back enough for blueberry pie! 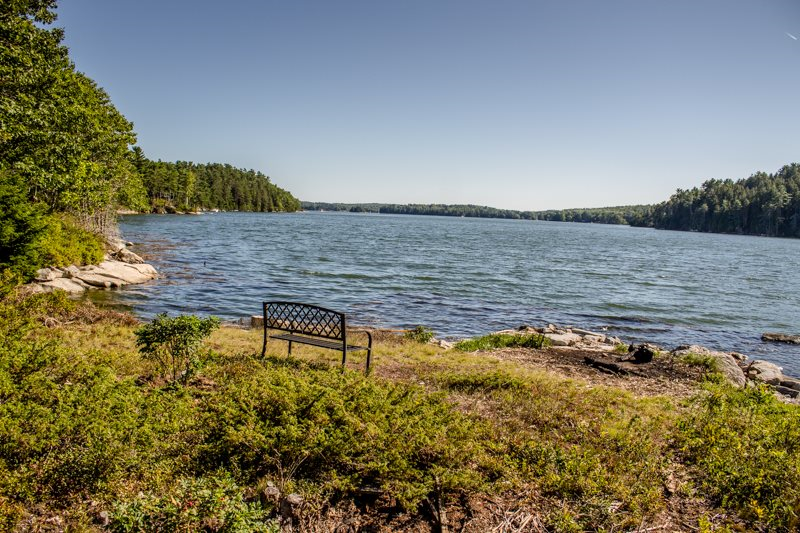 Westport Island is 14.2 square miles and has a population of just under 750 people and nestles in the Sheepscot, a tidal salt-water river. 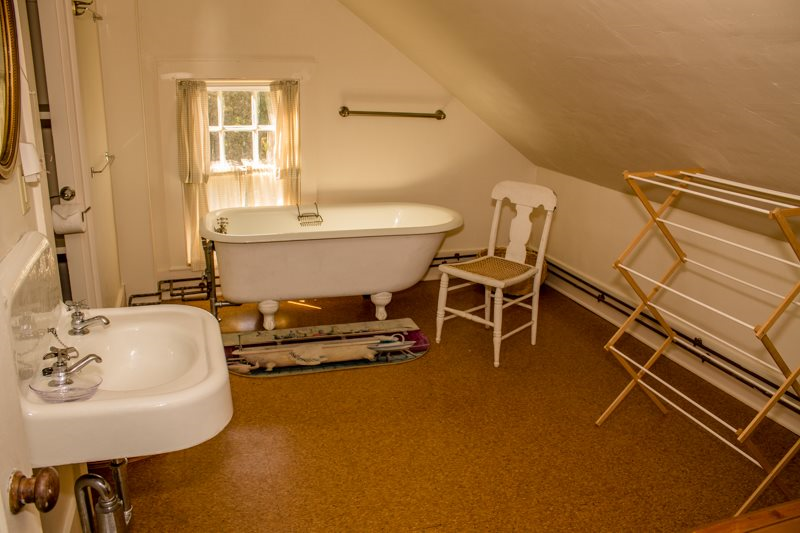 Accessible via bridge from Wiscasset, or via boat from just about anywhere, it is just off Route One which affords easy access to mid-coast Maine while still giving a sense of remote, peaceful tranquility. 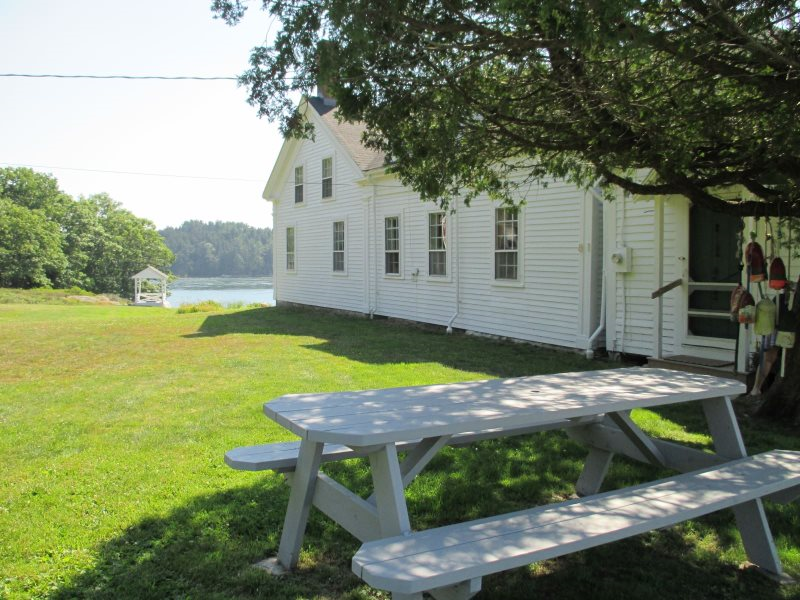 Still referred to by the locals as Jeremysquam, the island has a rich nautical history and a deep love of the sea’s bounty. The island has a couple distinguished eateries including the famed Squire Tar Box Inn. Also close by is the MacNamara Foundation where you can watch, or join, artists at work using various mediums. 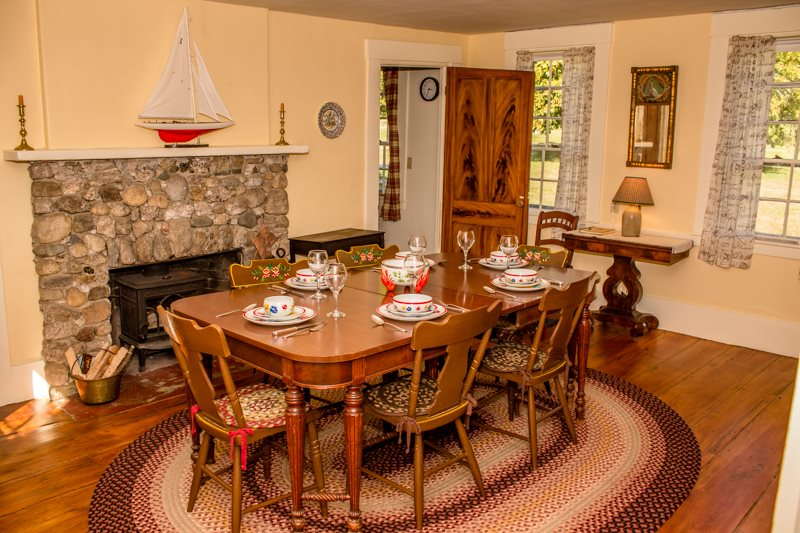 Within an easy drive, or scenic boat ride, are Wiscasset, Damariscotta, Boothbay and more! 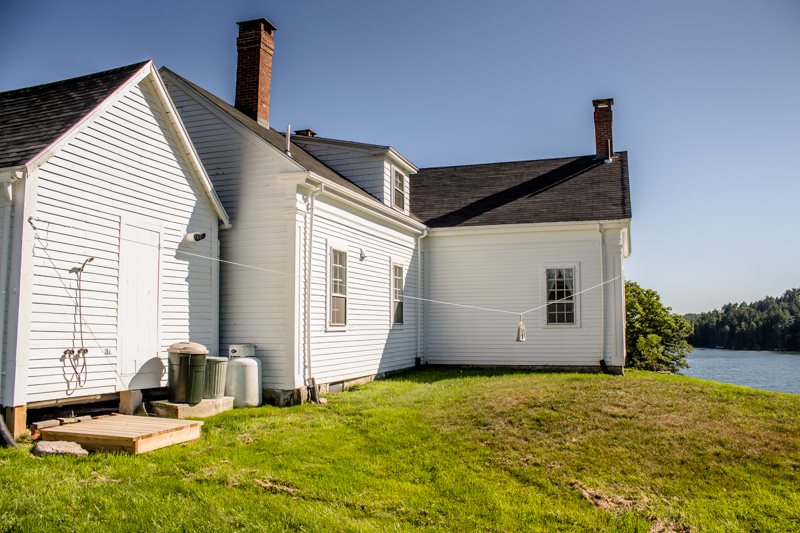 You can also make easy trips to the Maine Maritime Museum in Bath, Popham Beach and Reid State Park.